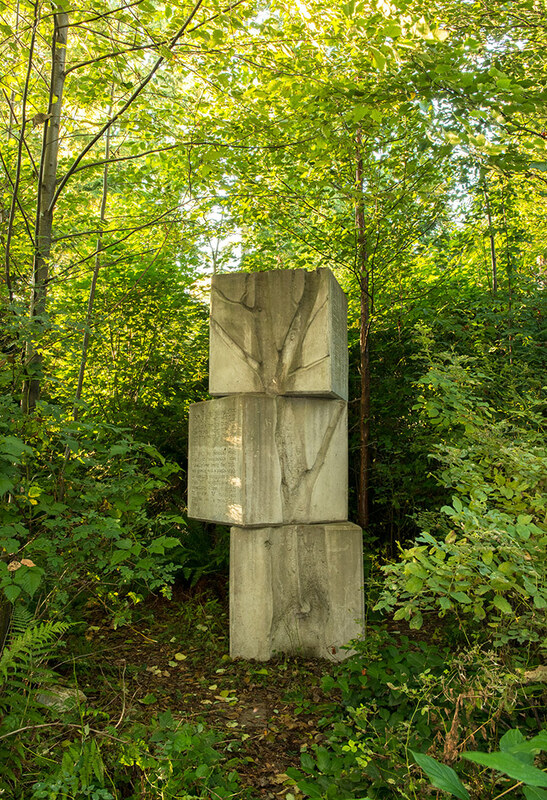 The first work of public art initiated by the SFU Community Trust at UniverCity is Concrete Tree Imprint, installed in 2006. Amelia Epp and Kevin Sandgren, undergraduate students in Fine Arts and the Humanities at that time, responded to an open call for proposals from the SFU community by the 2004 SFU Undergraduate Semester in Dialogue, led by Director Mark Winston. A student initiative, the ‘Art Takes Route’ program engaged Dialogue students in conceiving the vision for the competition, managing its implementation and arriving at the final decision on the successful entry. As a consideration of the abrupt change that was about to happen, Epp and Sandgren’s proposal focused on the contrasts and connections between the natural landscape and the new community that was to come. The artwork drew directly from its surroundings over the two years of its development: surroundings that have changed markedly since its completion. 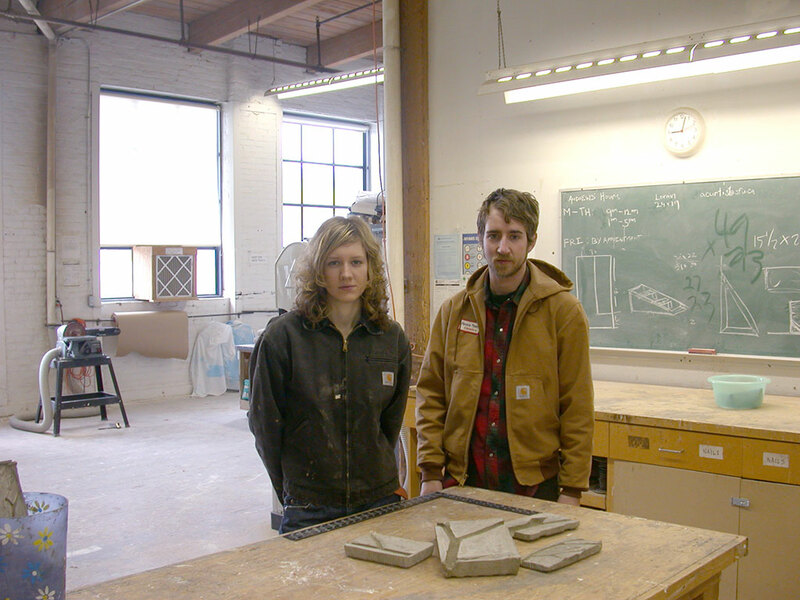 In an area cleared in order for construction to begin, Epp and Sandgren chose segments of felled deciduous trees of a scale and shape appropriate for casting. These sections – containing branch collars, forks and knots – were then cast in three concrete cubes and assembled in an off-kilter column. 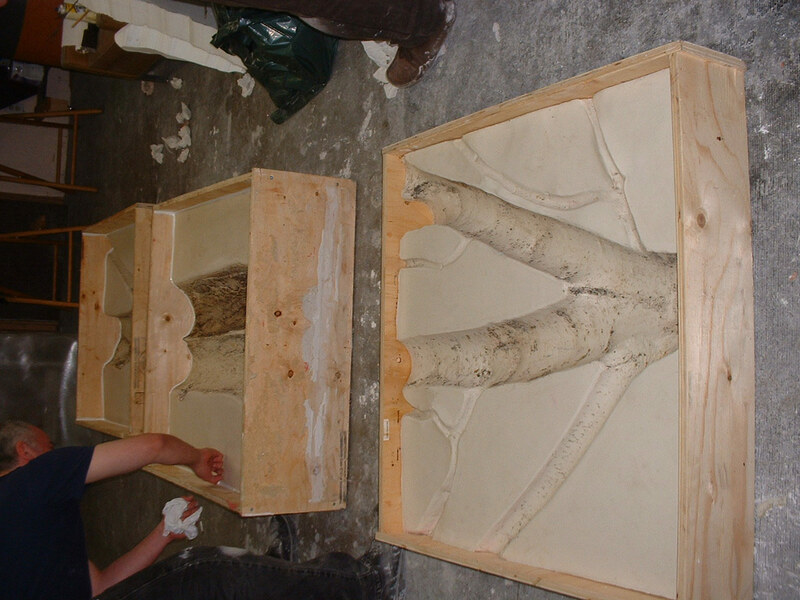 The casting process captures the minute surface details of the bark and the shape and volume of the limbs, and embeds this information directly in the concrete modules like fossilized remains. Stacked in quarter turns, the sections twist away from the centre axis, disrupting the stability of a monumental form and making tentative the relationship between the heavy blocks. The void spaces that once held the tree sections still hold their places, and reassembled as a trio of absences, mark an idea of a tree. 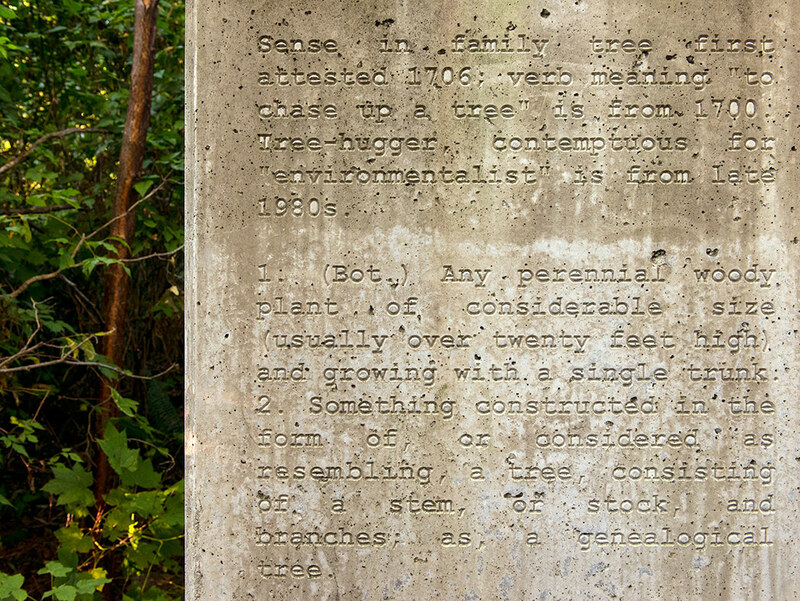 In parallel, texts tracing the history of the word ‘tree’ itself, are inscribed on altering faces of the blocks. Both the image and the text are lifted from the ‘real’, and carry forward the cultural meanings and associations we have for the natural object into the abstract. Speaking to a public that did not yet exist, the artwork takes the shape of an oblique marker, a sign to be read and deciphered in the future. The fragility of the surface texture and the balance of the blocks carry a tension that extends into the relationship of the work to its location. 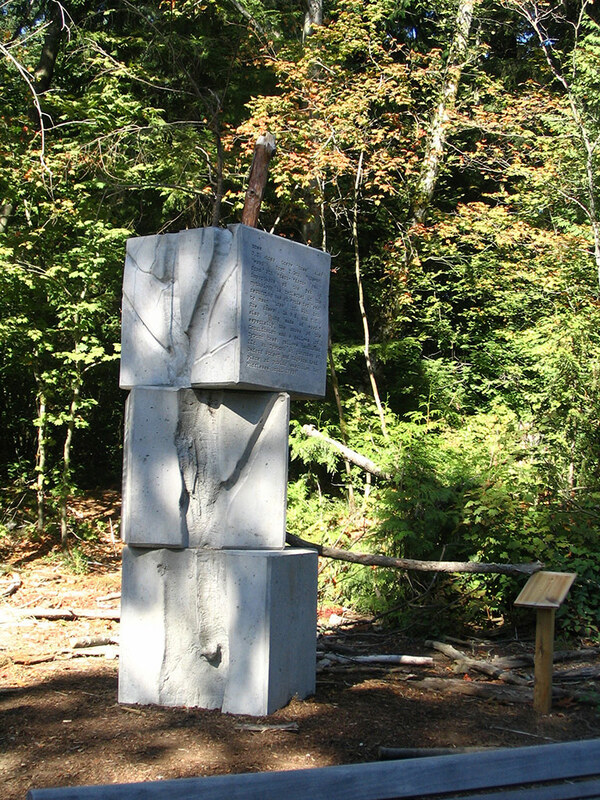 The sculpture was installed in a clearing beside one of the pedestrian trails that crossed the UniverCity site, as the construction of a residential building was underway. That development has progressed substantially with the addition of a school, shops, services and more housing, thereby completely transforming the physical and social context of Concrete Tree Imprint. Once poised on the edge of the forest it now marks walkways that link a full-fledged community. Its porous surface continues to trace the passage of time and absorb the conditions of its environment. 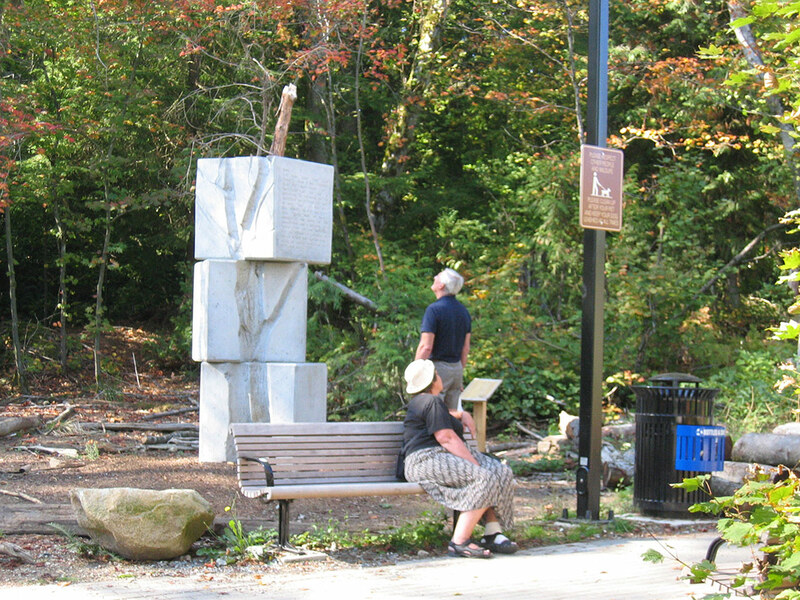 Older than the buildings that surround it, the artwork documents the beginning point of the neighbourhood and a moment of impact on the forest on which it was founded. Concrete is the signature material of Arthur Erickson’s architectural practice, and his use of the raw substance for the SFU campus sets simple geometric forms and unadorned surfaces against the complexity of the abundant, ever-changing mountain forest. The meaningful effect of this contrast endures. Once cured, the fluid functionality of concrete mimics the properties of stone and carries the weight and precise angles of monumentality. 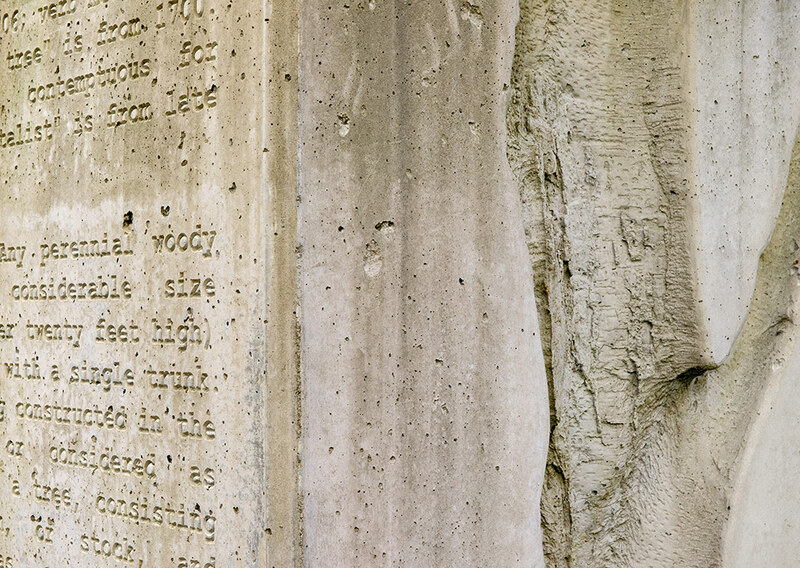 Epp and Sandgren press these two elements – impressionable concrete and harvested tree – together, to imprint upon our memory an index of a moment in time. Having studied Sociology and Visual Arts at Simon Fraser University, Amelia Epp went on to complete graduate studies in Art Education at Teachers College, Columbia University in New York. Experimentation, collaboration, and play are important components of her practice as both an artist and educator. She has collaborated with choreographer Vanessa Goodman, dancers Jane Osborne and Ziyian Kwan, and lighting designer James Proudfood on a set piece for The Long Indoors; has taught in the art education program of the Vancouver Biennale and continues to work with children, teens, and adults in schools, museums, after-school programs, and community-based organizations. With a particular interest in interdisciplinary arts education, Epp has presented her curricula at the Canadian Society for Education through Art annual conference (2013) and the BC Art Teachers’ Association annual conference (2010), among others. Her art practice focuses on materials such as paper, wood, thread and wire, or repurposed discarded objects such as plastic and tea bags, to construct installation works, sculptures and collages. 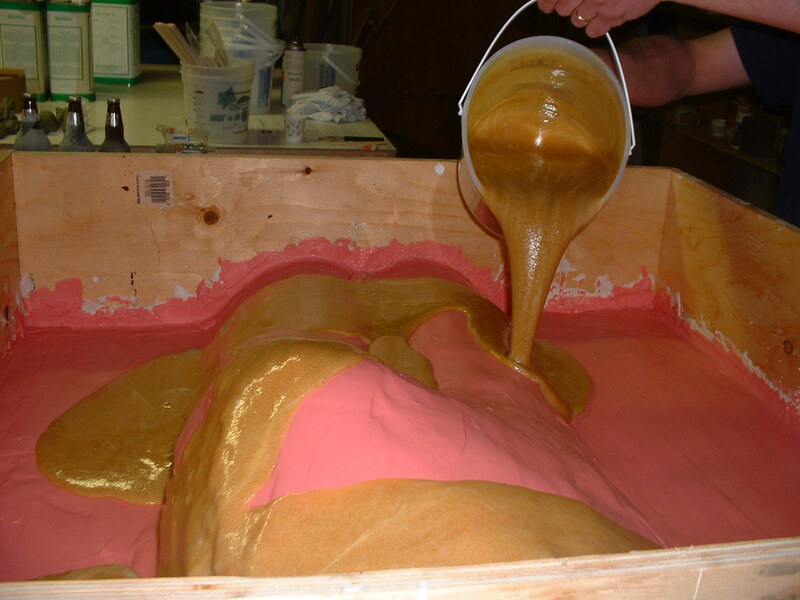 The exploration of inherent material properties is integral to Epp’s artistic process, and involves collecting and sorting, tearing and sewing, dyeing and molding, deconstructing and casting diverse objects and substances to discover their aesthetic and structural potential. Her work has been exhibited Deer Lake Gallery, Burnaby, Seaside Centre, Sechelt, Maple Ridge Art Gallery, Gibsons Public Art Gallery, and Macy Gallery, New York. Kevin Sandgren has completed a Masters Degree in Religious Studies from Queen’s University, and a Bachelor of Humanities with a Minor in History from Simon Fraser University. During his academic career, Sandgren achieved the Honor Roll and Golden Key status, and was the recipient of the Institute for the Humanities Gandhi Peace Award. Widely travelled, Sandgren has studied and volunteered in Czech Republic, Spain, France, Tanzania and India, with a focus on arts and humanities education. He has worked on arts programs with social services organizations in Vancouver’s Downtown Eastside and has taught at Queen’s University, Kingston, Simon Fraser University, and the Rochester, MN public school system. 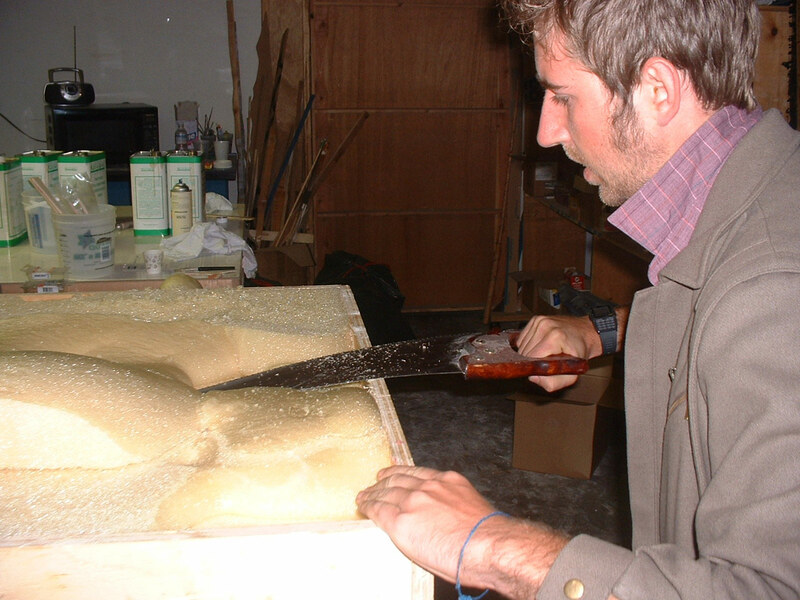 In 2009, he was commissioned to complete a public artwork for the Alberta Avenue Streetscape Image Project by the Edmonton Arts Council and was part of a team working with artist Michael Lin to complete A Modest Veil, for ‘Offsite’, the Georgia Street outdoor exhibition space of the Vancouver Art Gallery. 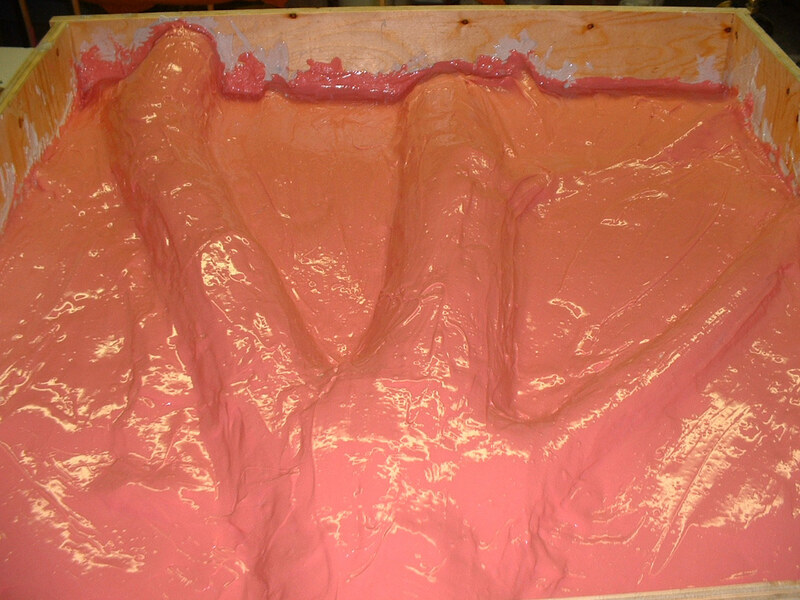 During the production of Concrete Tree Imprint, Sandgren met Peter Charron of Charron Studios in Vancouver. Sandgren continues to work there as a prop builder and fabricator, contributing to such films as Underworld: Awakening; The Grey, A-Team, Sucker Punch and the television series Once Upon a Time; Fringe, V, and Alcatraz.